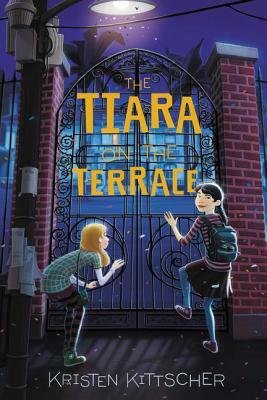 In this funny, clever novel, perfect for fans of Pseudonymous Bosch and Gordon Korman and a companion to The Wig in the Window, tween sleuths Sophie Young and Grace Yang go undercover at Luna Vista's Winter Sun Festival to catch a murderer before he—or she—strikes again. When Festival president Jim Steptoe turns up dead on the first day of parade preparations, the police blame a malfunctioning giant s'more feature on the campfire-themed float. But the two sleuths are convinced the mysterious death wasn't an accident. Kristen Kittscher is a writing tutor in Pasadena, California, where she lives with her husband. The 2014 James Thurber House Children's Writer-in-Residence and a graduate of Brown University, she taught middle-school English for many years. She is the author of The Tiara on the Terrace and The Wig in the Window. — --Kirsten Miller, New York Times best-selling author of Nightmares!